 The Cognitive Systems Program (COGS) is a multi-disciplinary undergraduate program involving four departments: Computer Science, Linguistics, Philosophy, and Psychology. Our program provides students with a thorough grounding in the principles and techniques used by intelligent systems both natural and artificial. It emphasizes the study of existing systems (e.g., perception; linguistics), the design of new ones (e.g., machine vision; machine intelligence), and the design of interfaces between different forms of intelligent agents (e.g., human-computer interfaces). Cognitive Systems offers five degrees – 3 offered by the Faculty of Arts and 2 offered by the Faculty of Science. Read more about them here. What do you get to do as a CSS member? As a Cognitive Systems Society member, you get free entrance or discounted prices to all of our club events, from free drinks and food at our Welcome Back Barbecue to cheaper price tickets to our annual sold out robot-themed dance parties. In addition to your membership discounts, you'll be the first to be notified of all COGS-related talks, career fairs, movie nights, and much more. Beyond that, as a CSS member you get the opportunity to connect with many other cool people like you who happen to be in the same program at our multiple friendly and open events. Do you have to be a COGS student to join the CSS? Nope! The CSS is open to anybody who is interested in cognitive systems and wants to explore it with/meet like-minded peers. Membership is $5 for a full year. If you would like to become a member, email us at cogsubc(at)gmail.com or come find our booth on Clubs Days. Where can I volunteer or participate in more COGS related organizations? There are also plenty of other places/people we might be able to suggest if you’re interested in something specific and/or not listed here. Ask us and we’ll do our best to point you in the right direction. How do I find out more information about this major?